Hey there everyone!! Welcome to another day of Lawn Fawn inspiration! Tonight we are showcasing the new stamp set called "Many Thanks". You are going to just LOVE this set...so many fabulous sentiments all centered around thanks. I just know you are going to love it!! I created this card to fit a few challenges as well! I used Lawnscaping Challenge #16 to use one paper layer, CAS-ual Fridays #16 to emboss, and Crazy 4 Challenges #101 to use brads, embossing & make a square card. This is what I came up with! Instructions: Make card from kraft cardstock, and round the bottom right corner. Stamp the sentiment to the lower right corner using Versamark, cover in embossing powder, and then heat set. 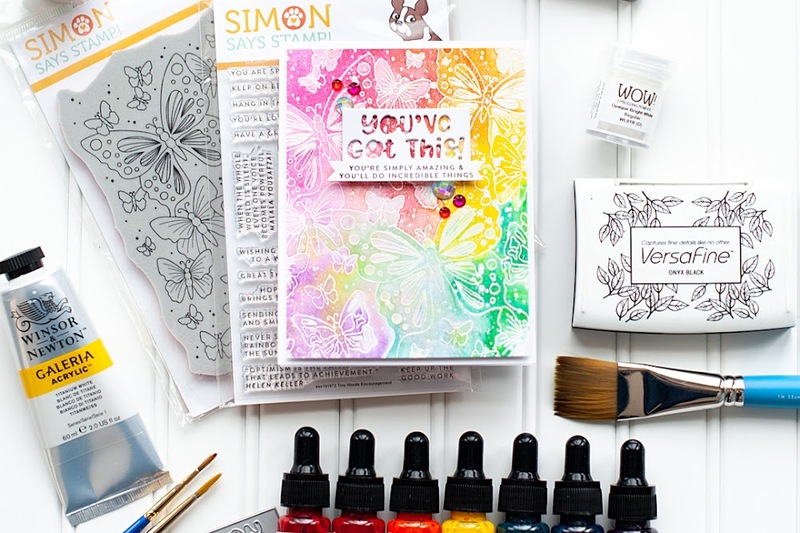 Ink the edges of the card with frost white pigment ink. Wrap twine around two of the stamped lollipop tops, and then accent with a jewel. Add a brad to the third lollipop top. Tie ribbon around the top of the card. Wrap twine in a circle in the middle of a button, accent with a jewels, and then adhere to the middle of the bow to finish. Cute Card! Love the colors and the candy. Very clever! This is totally my kind of card - CAS and just perfectly sweet. TFS! darn cute. Love the twine lollipops!! Those little twine lolli-pops are too sweet and creative! Oh yes! Twine lollipops! Nice touch to a fab card. So sweet & cute! Love the twine lollipops. So cute, and so simple. Adorable project! I love the colors and the design. This set looks like a must have. 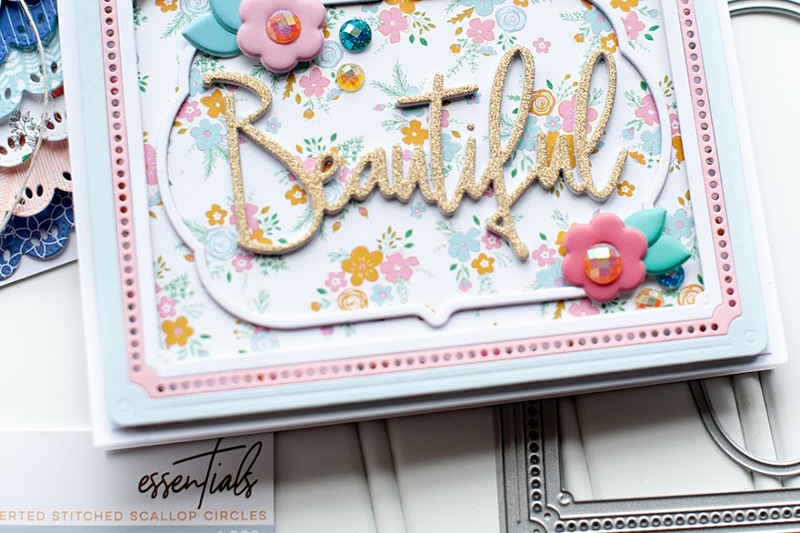 The white embossing powder looks amazing on kraft paper! And I love the baker's twine on the button! Adorable! This totally rocks! 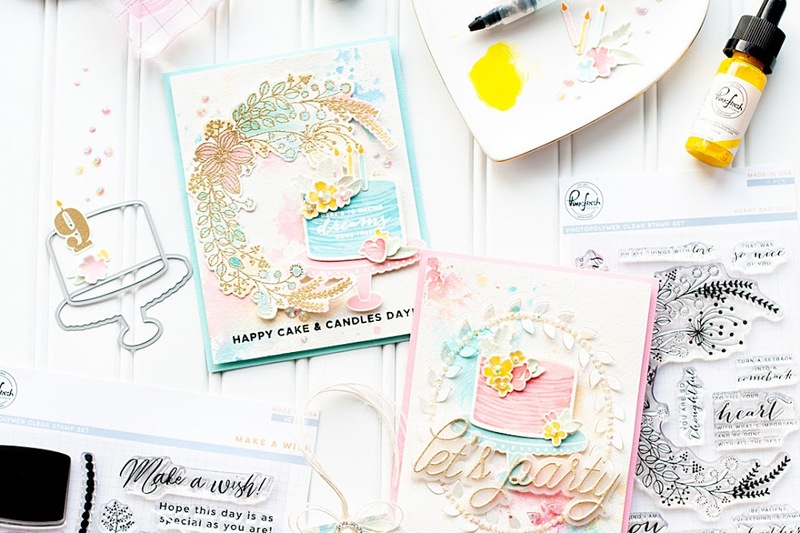 Love those twine lollipops and the embossed sentiments! ADORABLE! Thanks for playing along with us at Lawnscaping! Love the twine candies! Adorable card. Lea, this is so sweet and fun! LOVE those little treats you created :) Glad you played along at CAS-ual Fridays! Love, love, love what you did with twine on this card! Genius! Thanks for the ideas!! This card is just so sweet and fun, great little details all around. Thanks for joining us at CAS-ual Fridays! This is beautiful! So glad to have you join us at Lawnscaping! This is such a precious card, love it! LOVE it!!! 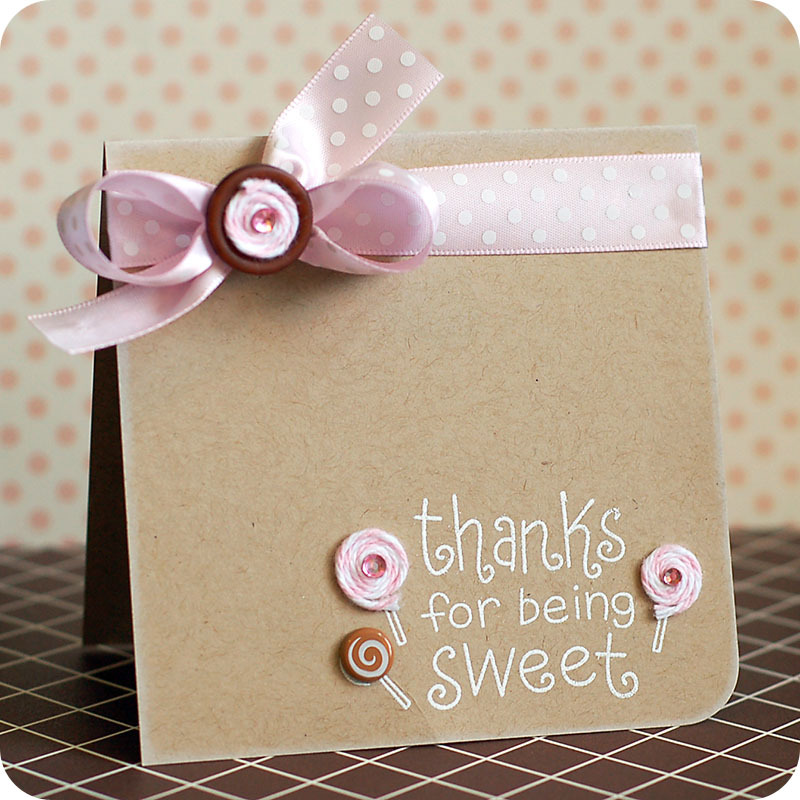 So sweet that pink + kraft combo! And that twine! Clever! Thanks for playing along with us at CAS-ual Fridays! An adorable SWEET card! I LOVE it to pieces!! !